8 - 10: Great for heavy snow, offers total protection, good for prolonged periods in wet or heavy snow. 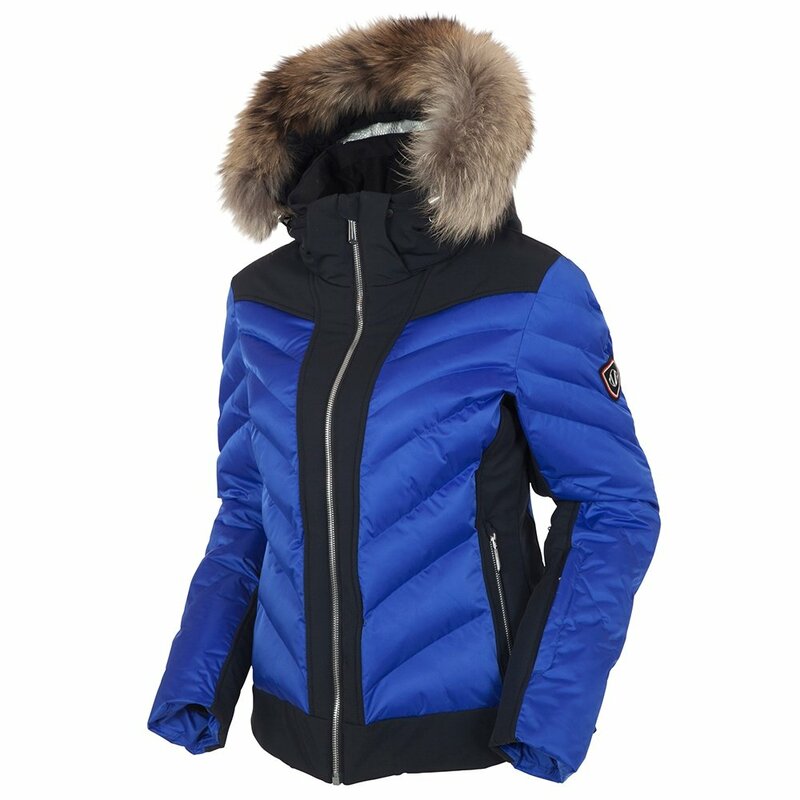 The Sunice Neva Insulated Ski Jacket with Real Fur combines the highest-end fashion features with the most protective and durable mountain-ready features available. It’s made from Luster II, a high-end Japanese material new to Sunice, that allows it to have a slight sheen while also being lightweight. It also has a 20K waterproofing and 20k breathability rating, as well as a quilted pattern that holds 3M Featherless Insulation, able to perform better when wet than traditional down. The Sunice Neva Insulated Ski Jacket with Real Fur is exceptionally heavy on features, ranging from cuffs with thumbholes to underarm mesh vents to Metaluxe® zippers and even an internal goggle cleaner. "How warm is this jacketed? Not rated for warmth"
"Thank you for your inquiry. We do not have a temperature rating for the Sunice Neva Insulated Ski Jacket. However, the jacket is fully waterproof and insulated with thinsulate. We hope this information helps! " "She normally wears a "small". Does she need a 4 or 6"
"Thank you for your inquiry. The small in the Sunice Neva Insulated Ski Jacket is size 4. We hope this information helps! "